We all know the story of the little engine that could- how he's miraculously able to pull a small mountain of boxcars up the hill because he thinks he can. I've always been suspicious that steroids might have been involved. . . It's great to try really hard at stuff. But in the great words of Matt Foley, some people seem to never "amount to jack squat!" You really may not be good enough to do what you want to do. Sorry to be the bearer of bad news, but it's incredibly hard to do many things. Sometimes you need a very specific skill set that a tiny fraction of human beings on earth actually possess. I can believe I'm going to be an astronaut when I grow up all I want, but it doesn't change that I'm horrible at math, have the fast twitch muscles of a beached whale, and about a foot over the ideal height requirement. So what do you do if you aren't built to do what you've dreamed of doing all your life? Figure out a way to do what you love that highlights your strengths, but doesn't rely too heavily on your weak areas. For instance, as I mentioned earlier, I'm horrible with math. I picked a career where I rarely have to use high school level math, and on the rare occasions that I am required to use my limited algebraic talents, I ask people around me that are good at math to help. I also had the great fortune of marrying a very common sense, fiscally savvy woman that helps cover for me. We all need people in our lives to help us discover what are strengths and weaknesses are, and then embrace who for who we are unconditionally. 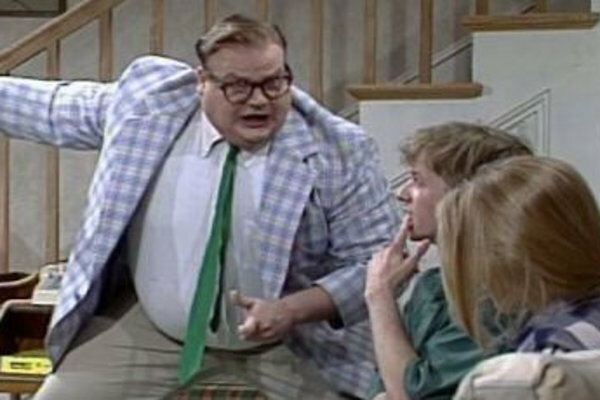 Thank goodness that person in my life isn't Matt Foley.